What’s in your bucket for 2015? Is this you? Are you insane? This year it is time for change! What do you want? Where are you going? Do you have the results you want? We are taking a personal approach this year. Rather than think of ourselves as dictators and be forcing everyone to make the changes that we focus on each term, this year, we would prefer to be known as “facilitators of change”. That’s why, in 2015, we are turning the tables and getting you, as an individual, to choose your goal. That’s right, we are getting everyone to start their own “bucket list” of what they want to achieve and when they want to achieve it. Your goal can be recorded on the bucket list sheet. We will keep you accountable and support you on your individual goal. We will push you when you need pushing and give you the advice to accomplish what’s on your bucket list this year. All you need to do is fill out the form we provide and hand it back to us for safe keeping. All goals are confidential. 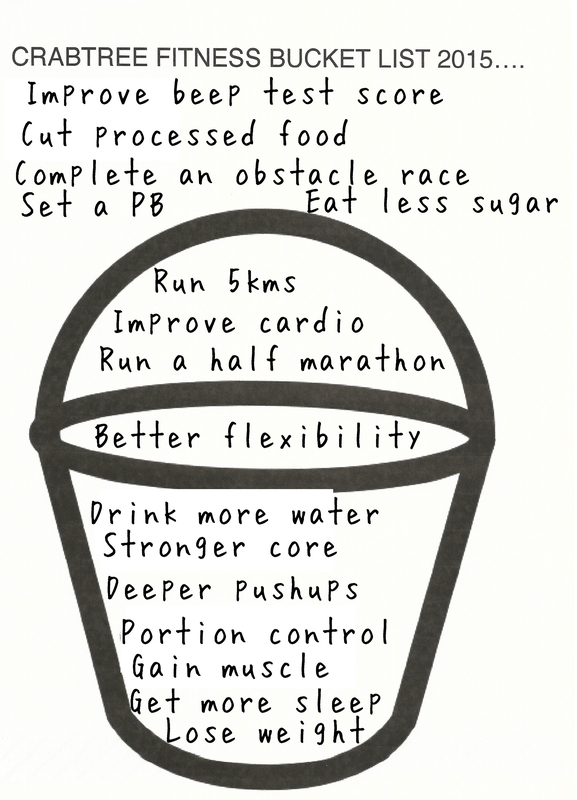 For example: your goal may be to run your first 10km race by the end of the year or compete in your first obstacle race. By us knowing your goal we can push you through certain parts of our workouts that will compliment your running or strengthen your upper body for you to have the best chance of accomplishing your goal. Or, you may want to improve your nutrition, fit into that pair of jeans, be a healthier version of you, achieve the perfect pushup, give the deepest squat possible. Whatever your goal we are here to give you the support and encouragement required to hit the nail on the head. Don’t be left in a rut doing the same thing over and over and not getting the result you want. IT’S TIME FOR CHANGE. Reach for the stars, make a plan and do the work required to complete what’s in your bucket!